Digestion is one of the most important processes to maintain our body. Our body is developed from the food we eat. Digestion is important because of two aspects. Firstly all the metabolism happening in our body are directly or indirectly affected by digestion. Secondly, we have a control over it; we are selecting the food undergoing digestion. Digestive system is highly influenced by what we eat, when we eat and how we eat. (vata,pitta,kapha ; functional particles of body ) are in balance. The balance of doshas-which has a huge effect on the overall health of an individual-can happen only with a healthy agni. From nutrients of digestion, tissues are nourished and reproduced. Healthy tissues are important for proper nourishment of reproductive juices and immunity. The quantity and quality of one’s life is directly proportional to the quality and quantity of his/her health of tissues (including sperm and ovum) and immunity. In short, digestion is important in overall health, longevity and fertility of the individual. Whenever digestive energy (agni) is healthy, it can digest whatever we eat and absorb maximum nutrients from it. Our diet, eating habits, emotions and metabolism have an effect on digestive energy. As the strength of digestive energy varies according to the body type, it is important to eat according to your body type to ensure proper digestion. Whenever digestive energy is low, food won’t digest properly and remains in the system for a long time resulting into discomforts and diseases. On the other hand, when agni is imbalanced, food will be broken down quickly and/ or move through the alimentary tract quickly/ upwards resulting into indigestion, poor absorption, chest burns, bloating and other digestive problems. When digestion is not happening properly, there will be an accumulation of undigested food in alimentary canal. At this stage you will get symptoms like anorexia, loss of appetite, nausea, belching, bloating, constipation, diarrhoea, vomiting, acidity, abdominal pain, bad breath, flatulence, etc. Accumulation of undigested materials will disturb the doshas, which can again disturb digestion. Gradually these accumulated residues turn toxic to body and start to generate diseases. Body will undergo more complex pathologies resulting into diseases like acid peptic disease, gluten intolerance, lactose intolerance, oesophageal reflux, Crohn’s disease, irritable bowel syndrome, celiac disease, ano rectal diseases like fistula-in-ano, chronic fissure, etc. Inefficient digestive energy is one of the primary causes of leaky gut. Toxic residues and improper digestion are the important factors that reduce the immunity and health of the alimentary tract and digestive glands. Then they are prone to infections (like hepatitis, gastritis, colitis, aphthous ulcer, fungal infections, tuberculosis, appendicitis, etc.) and cancers. Improper digestion also results in malnutrition leading to other diseases like anaemia, osteoporosis, dental caries, thyroid malfunctions, muscle cramps, mouth ulcers, bleeding, etc. and decrease immunity. Also, as digestion has a huge effect on the overall metabolism and tissue functioning, improper digestion has a role in conditions like infertility, high blood lipids, myopia due to vitamin deficiency, etc in which correction of digestion (agni) is important to correct the condition. That is why digestive issues reduce the quality and quantity of life. 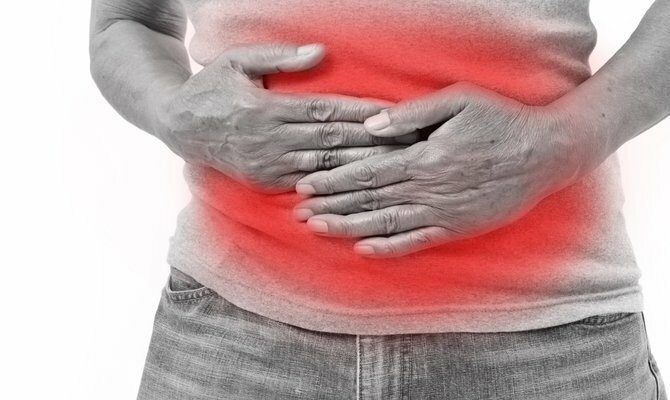 How can Ayurveda help to manage digestive issues? Ayurveda, a holistic system of health and well being, helps to understand and correct root causes of your problems. An individual consultation with Dr Rafeena will help to understand problems with your diet, eating habits, stress and lifestyle that are leading to your health issues. Proper use of spices and foods can help to improve your digestion and absorption. Customized detox treatments can help to flush out accumulated toxins, undigested food and/ or un-eliminated waste materials from your systems. Use of Ayurvedic herbs can improve digestion, absorption, elimination and tissue metabolism. Specific herbs will help you to correct pathologies and balance doshas, thereby managing various diseases of digestive tract. Ayurvedic massage, shirodhara and other therapeutic body treatments with suitable herbalized oil can help to reduce stress and improve general functioning of the body there by helping to heal your system. Ayurveda offers one of the most effective medicines for digestive issues. Ayurvedic treatments help to correct root causes of your problem. Generally Ayurvedic herbs won’t irritate your digestive system, a problem with most of other medicines. Ayurveda improves your general health and well being, so quality of life will be improved. Ayurveda can advise healthy foods and eating habits according to your body type and disease. Food when used properly can act as medicines. Ayurveda will help you to control and manage stress. Dr Rafeena provides consultations and treatments for digestive issues and diseases. . The articles on this site are never meant to replace direct consultation with a qualified Ayurvedic practitioner or enable you to treat other persons. Even though Ayurvedic medicines are natural, they are potent medicines, so it is always better to take Ayurvedic medicines and undergo Ayurvedic treatments under the guidance and/or supervision of an Ayurvedic Doctor with an authenticated B.A.M.S Degree. Dr Rafeena is a qualified Ayurvedic practitioner with a graduate degree on Ayurveda. Even though Dr Rafeena has studied Anatomy, physiology, pathology, toxicology and basics of different branches of modern medicine as part of her degree, Dr Rafeena is not a qualified Conventional Medicine/ Modern Medicine Doctor. © 2019 Dr. Rafeena Kidavintavida. All Rights Reserved.